The recent burst of food poisoning cases from a single Federico’s restaurant west of Phoenix has eclipsed the Farm Rich frozen food outbreak as the biggest toxic E. coli outbreak of 2013 and is among the largest domestic E. coli outbreaks of the past few years, according to E. coli information kept by the Centers for Disease Control and Prevention (CDC). Public health officials have had to go back to 2011 to find an E. coli outbreak with nearly as many confirmed case patients as the 68 people counted as victims in the current spread of E. coli illnesses in Arizona. 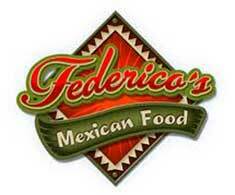 The Federico’s outbreak was first announced on August 2 when the Maricopa County Departments of Public Health and Environmental Services collaborated with the Arizona Department of Health Services on a press release alerting families to 15 cases of bloody diarrhea. The officials noted that the outbreak appeared to be “linked” to Federico’s Mexican Restaurant at 13132 W Camelback in the West Valley. Bloody diarrhea is the chief symptom of toxic E. coli infection, and officials have confirmed the scores of illnesses that have since been tied to the outbreak were caused by E. coli O157:H7, the most common type of Shiga toxin-producing E. coli tracked by the CDC. Food Poisoning Bulletin has reported that 23 of the infected patients from the outbreak were hospitalized with life-threatening E. coli HUS syndrome and other complications. The outbreak started in late July and the restaurant closed during the investigation, but has now reopened. 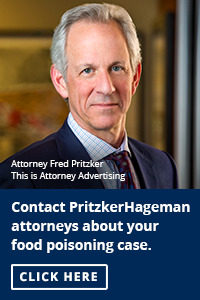 Private legal teams and public health investigators continue to hone in on what food or drink caused the outbreak and how the contamination occurred. Prior to the Federico’s outbreak, the largest documented outbreak of toxic E. coli from food this year was associated with Farm Rich frozen snack foods, including mini quesadillas, philly cheese steak and mozzarella bites. Rich Products Corporation announced a sweeping recall of the products in early April and the CDC’s final report on the outbreak indicated 35 people were sickened in 19 states, including nine people who were hospitalized. There were at least two similarly sized toxic E. coli outbreaks in 2012 — one involving organic spinach and another associated with clover sprouts served at certain Jimmy Johns sandwich restaurants. Going back further, a toxic E. coli outbreak in 2011 sickened 60 people and was tied to tainted romaine lettuce. Federico’s E. coli litigation has been started in the Arizona court system by three separate victims of the outbreak and more lawsuits are expected to be filed as individuals and families recover their health and grapple with the multi-faceted costs and future health risks that they face because they were served contaminated food.